Welcome to the 200 Words a Day! 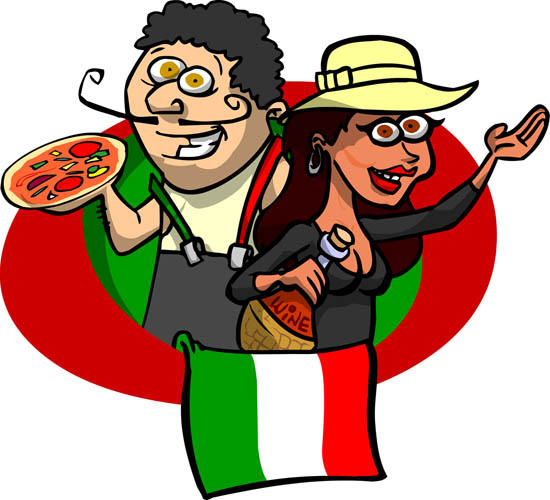 Italian Pronunciation Guide, written and recorded by Angela Vecchio. A quick and easy-to-understand introduction to Italian sounds and pronunciation. Listen to every letter of the Italian alphabet pronounced by a native speaker. Hear to the difference between open and closed Italian vowels. Learn how the sounds of the letters c, g and s change when in combination with certain other letters. This lesson is an ideal starting point for any learner of the Italian language. It is useful reference material, presented in the user-friendly 200 Words a Day! language software format. 200 Words a Day! Learn Italian Tutorial Lesson. A sneak preview of 200 Words a Day! Learn Italian Course 1. Familiarise yourself with all the innovative features you can look forward to using in the programme, old and new. 200 Words a Day! Learn Italian How to Use this Course.pdf. A comprehensive, printable User's guide to 200 Words a Day! Learn Italian Course 1. Italian language-learning news, verbs, grammar, etc. And be first to hear the news about the imminent release of 200 Words a Day! Italian Course 1 and Grammar Slammer, including special Introductory offers. Of course, you may unsubscribe to the emails at any time, but the 200 Words a Day! Pronunciation Guide and 200 Words a Day! Learn Italian Tutorial Lesson remain yours to keep. What computers will 200 Words a Day! run on? Windows 95, Windows 98, Windows Millenium, Windows 2000, Windows XP, Windows Vista, Windows 7. For Apple Macintosh users: PC Emulator software required. The size of the 200 Words a Day! Pronunciation Guide download is 28.1 mb. exceltra's 200 Words a Day! systems of excelerated (excellent accelerated) language learning.